Home »Frenchtown Related News » Holiday Gift from Frenchtown PD & River Net! Holiday Gift from Frenchtown PD & River Net! Just like every year, Santa Claus was very busy this holiday season, but still found time to spend with the Collins and Scully families in Frenchtown, thanks in large part to the borough Police Department. 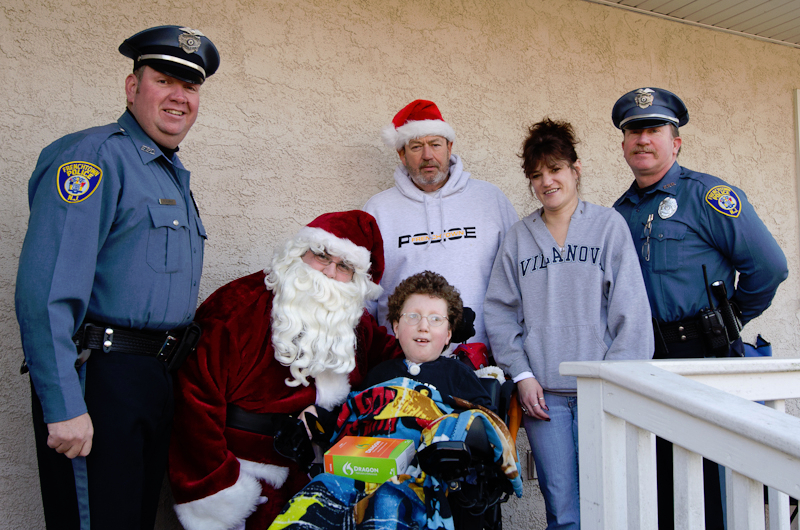 …Santa also visited a young man named Stephen E. Scully of Frenchtown and his family. Stephen was born with an often painful genetic neuromuscular disease called spinal muscular atrophy (SMA) type 1. According to the family, doctors said Stephen would not live past the age of 2, but on Jan. 3 he will celebrate his 10th birthday. 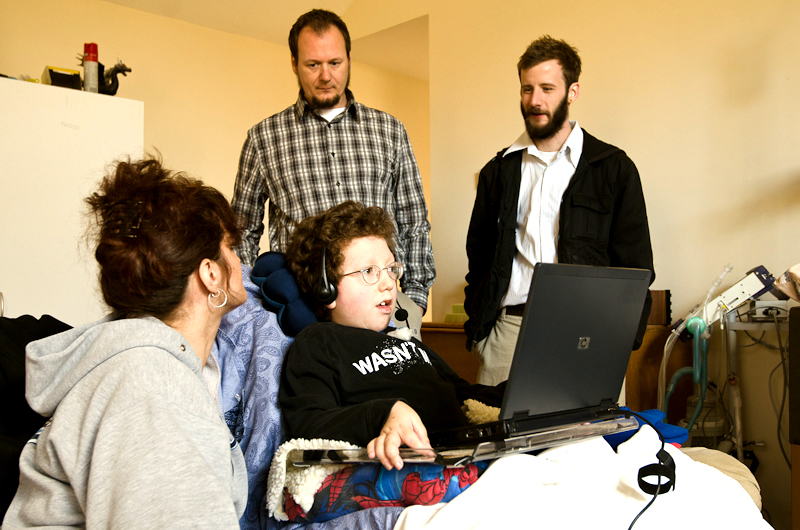 For Christmas, Santa gave Stephen new laptop with voice recognition software with repair and maintenance service provided by River Net Computers in Frenchtown. Read the full article at NJ.com & see more in our Photo Gallery!